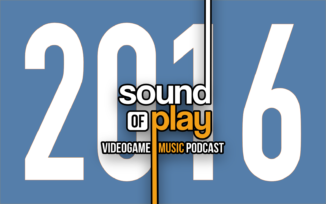 This week, Sound of Play brings you a musical collage — a constellation of audio memories from the year 2016. Rediscover favourites from 2016 or encounter tunes for the first time. This mix contains excerpts from 189 of the year’s games. Remember, usually it’s not just about what we like, so venture over to the thread at the top of this forum and put forward your own suggestions so that we might include them in future shows. 00:06:45 - Pokémon Sun and Moon? 00:15:00 - ...Tap My Katamari? 01:22:22 - sound bite is from Marvel's Spider-Man? I didn't recognize that many, especially towards the end. A lot of them fell into the category of "I swear I heard this in one of the E3 trailers", but that didn't exactly narrow it down. These medleys of yours are really impressive, Ryan. Thanks a lot for all the effort that goes into producing them. Again, the video (with the answers) will be posted one week from today. YMMV, depending on how strict the copyright bots are in your country. Didn’t get as many of these as I thought, clearly me not having a gaming PC means I’m missing out on a lot of wacky Steam adventures. And at least a dozen that I know I’ve heard but can’t place. First time I got to listen to one of these when its released. So here we go. 16:50 – Rhythm Heaven/Paradise Megamix?? 26:50 – No Man's Sky???? I got DOOM, Tap My Katamari, Dark Souls 3, Deus Ex: Mankind Divided, FE Fates and The Last Guardian but I also saw Ksubs list first. I also cheated and looked up on Wikipedia that 1:13:45 is from Mirrors Edge Catalyst. Y'all are even getting some of the really tricky ones. Certainly not as good of a theme song as Mirror's Edge 1's. Velvet's Theme from Tales of Berseria at 1:39, which is kind of cheating, since it didn't release in English until 2017. An easy one for me, since it's literally my phone's ringtone . The game, and the tune, were first released/copyright 2016. How is that cheating? We’re an international show and the game is Japanese - and we always go by the original publishing date (unless we make a mistake)! Unless it has English vocals here, in which case you have us on a technicality! Speaking of which, I hope you didn’t hear Ori because that’s a 2015 game..! As for Ori, I guess it must have been the definitive edition in that case. Now see I do think Ryan’s cheated a bit there, if the piece he used was also in the original game. But as he says, there are bound to be a few errors, quirks and anomalies - all part of the fun! I don't believe there is any Ori in there, but if you can point to a timecode, I can fish up what it is. Also, yes, I'll double-down on what Leon said about release years. I count a game's release year as the year that it debuted, regardless of the region or system. Even if our audiences may not have played it until later, the game (and its music) was being enjoyed by others elsewhere. The only instances in which I would include a game in a year other than its original launch is if it had a different soundtrack on another system (be it a complete re-composition, like Donkey Kong Country 3 on GBA or sounded different enough to count as essentially being a completely different soundtrack, like a game releasing on both PlayStation and Game Boy). Additionally, I may include a game in multiple mixes if it is episodic (Kentucky Route Zero, spanning multiple years) or has substantial DLC / expansions (World of WarCraft). I thought that was what I heard, but it's certainly possible that I'm just wrong. There is an Ori-sounding song from FRU (my GOTY for 2016), but unfortunately, I can't find videos of it online to point to for reference. I had to record my own audio from the game itself. I should post here that the video and accompanying answer key are now live.